A bright and sunny day heralded the arrival of first practice at the Hungaroring, and it was all about Red Bull. 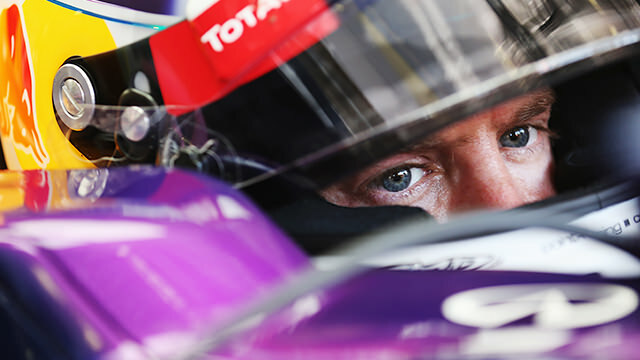 Sebastian Vettel went out reasonably early but had to return to his garage with a brake problem. He wasn't the only one struggling - Felipe Massa had a few offs, Jean-Éric Vergne spun off into the gravel, and Kimi Räikkönen had a brief airbox fire and found himself with wet boots due to something leaking. But when Vettel returned to the track, he posted the fastest time of the day, with Mark Webber behind him. Having led the first session comfortably, the Red Bull duo set the early benchmark for second practice as well. The Ferrari drivers couldn't get near to them, and the closest competitor was Romain Grosjean. His Lotus teammate Kimi Räikkönen was tussling with McLaren's Jenson Button, as the pair vied for the same piece of tarmac and came close to colliding - an unusual sight for practice. In the end it was Vettel on top, with less than five hundredths of a second on teammate Webber.